Just add ice cream and ENJOY! Now available for everyone to enjoy! 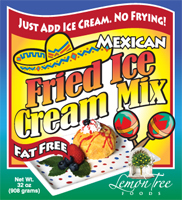 Mexican Fried Ice Cream™ mix! Just add ice cream - no frying! Everyone can now enjoy sweet, crunchy Fried Ice Cream at home. All natural, fat free, no high fructose corn syrup and allergen free. Quick, easy and delicious! Great as a gift and for gift baskets too! Buy some now on our products page! Let us help you raise money for your organization! Make a profit with easy products that everyone loves! Certain items can even be printed with your organization's name. 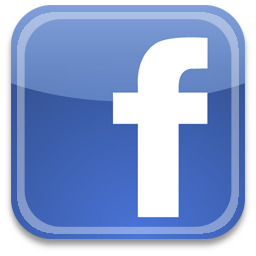 For more information on news and specials, sign up for our email list. Just fill out the form on our Contact page! Check out Mexican Fried Ice Cream™ mix on Facebook! Click here for printable flyers for your order window!